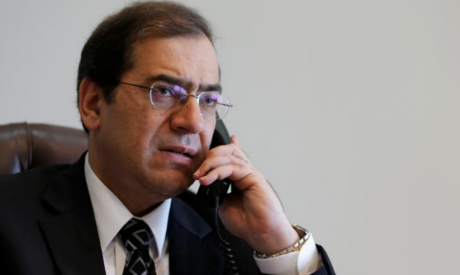 Egypt’s petroleum minister said on Tuesday that a regasification vessel would leave Egypt by the end of the week, a day after Norway’s Hoegh LNG said Egypt was to give up one of its two floating liquefied natural gas (LNG) terminals. The minister, Tarek El Molla, told Reuters the other vessel would stay behind as part of the petroleum ministry’s strategy to maintain energy supplies for the country. Hoegh said Egypt Natural Gas Holding (EGAS), having decided to end its charter early, has agreed to pay the difference between its contract for the terminal, called a floating storage and regasification unit (FSRU), and a new contract with a third party. Egypt aims to be a regional hub for the trade of liquefied natural gas (LNG) after a string of major discoveries in recent years, including the giant Zohr offshore gas field which holds an estimated 30 trillion cubic feet of gas. Molla last month announced that Egypt would stop importing natural gas after receiving its final liquefied shipments the week before. Egypt began importing LNG in 2015 when its own diminishing gas output failed to keep up with soaring domestic demand. It hired the Hoegh Gallant from Hoegh LNG and the BW Singapore from the BW Group in 2015, with both deals due to run until 2020.